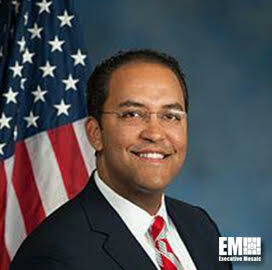 Reps. Will Hurd, R-Texas, and Robin Kelly, D-Ill., have introduced a bill aiming to reauthorize the role of the federal chief information officer, and establish a clearer structure for information technology reporting in the administration. The Federal CIO Authorization Act of 2018 would rename the Office of E-Government to the Office of the Federal CIO, Hurd's office said Wednesday. The bipartisan bill would also assign the federal CIO as a presidential appointee who would report to the director of the Office of Management and Budget. Additionally, the president would appoint a federal chief information security officer directly reporting to the federal CIO. Lastly, the bill would task the federal CIO to submit a federal government-wide IT consolidation proposal to the Congress. Hurd, who chairs the House IT Subcommittee, said that the bill demonstrates the federal CIO's role in coordinating IT policy across the government.